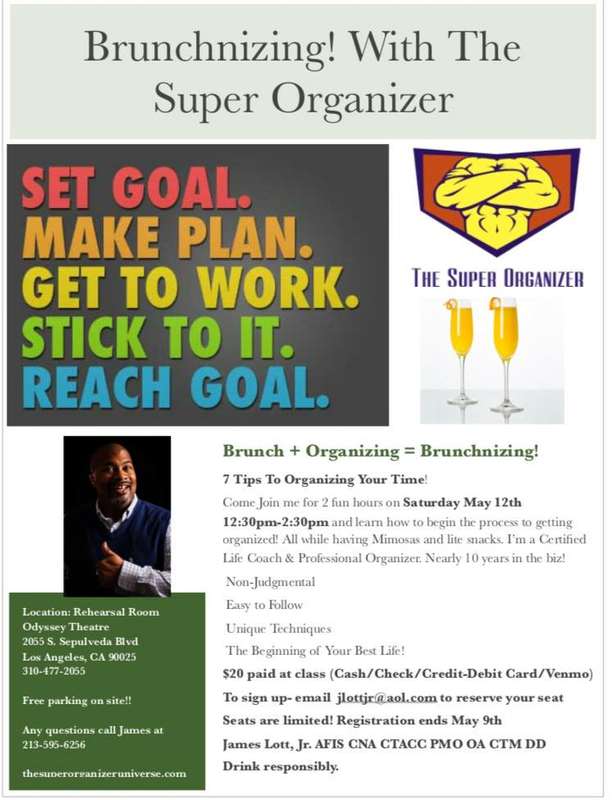 Sort Out Sunday: The Super Organizer Workshops in LA!! Two upcoming classes in LOS ANGELES!!!! April 28th and May 12th!! Come JOIN ME!!! Sign Up! More dates to be announced and also I may be going to other cities too! Stay tuned! FOLLOW my blog !! I Totally Forgot I Still Had That! I’m inviting you all to a challenge. For many of us, clothes and shoes are the bane of our existence. We have pounds and pounds of clothes or racks and racks of shoes. Ask yourself, do you wear 90 percent of your clothes? If you do, then you are doing great!! You must rotate well and like the diversity of your wardrobe. If you are anything less than 90 percent, then this challenge is for you! My goal is for you to reduce clutter and keep what you actually wear. And I will expand this to clothes of different seasons.So if you divide your clothes into seasons, this challenge is for the current season. I want you to pick 3 things you haven’t worn in 6 months or longer and wear them within this next week! Hello everyone! How Are you today? I am doing okay these days. 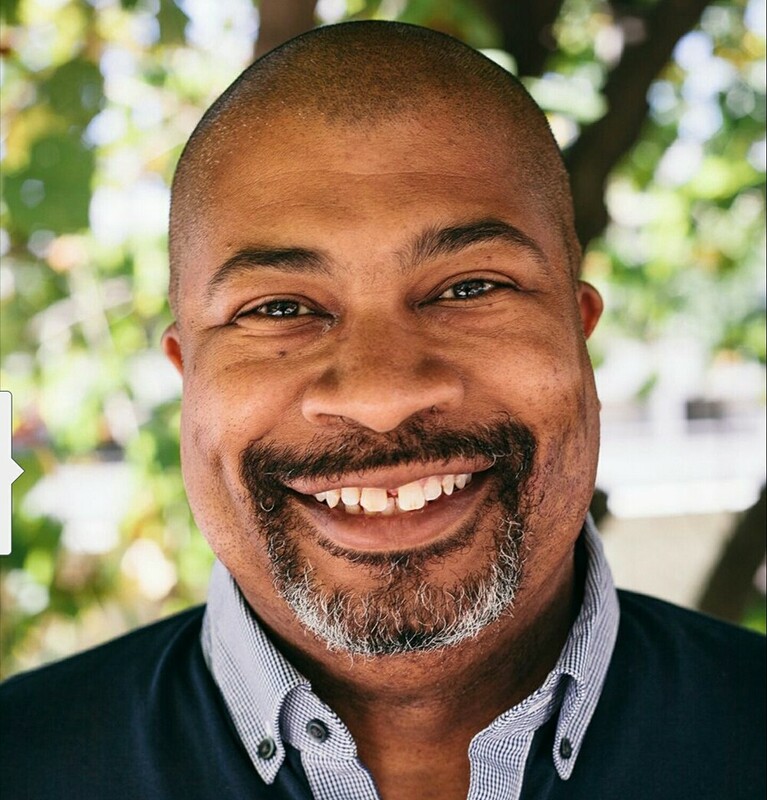 I took two months off to soul search and re-evaluate my life and situations. It was the best thing I could do for myself. Self Care is very important!! I left my home of LA to do the thinking! Another great decision I made. Sometimes is good to extricate yourself from your surroundings and go somewhere! I went all over the country and parts of Canada! I enjoyed it so much, I might do it again later on in the year! I found myself. I was able to let go of things. I was able to come up with tighter ideas. I’m much calmer now. I have made some changes since I’ve been back, One of them is the major purge at my house. I’ve gotten rid of half of a small room size of stuff!!!! I’ve let certain toxic friendships go. And I made the decision to leave Adrenaline radio where I just celebrated 2 years there. They gave me a chance and a start. Other opportunities came up and I had to make a decision. 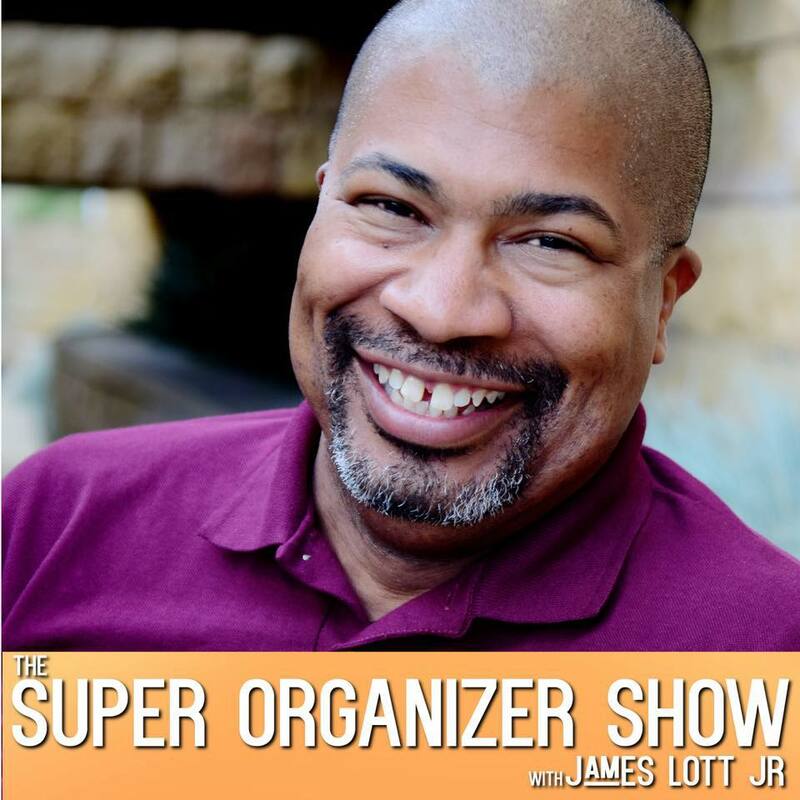 My show The Super Organizer Show will continue, probably as a podcast for now. I will produce that myself. I want to thank them for everything! Change can be good. You can survive change. Self care is the best care! It’s Jan 16th, 2017 and as I wake up in Los Angeles I think about when I arrived early in the morning on Jan 16th, 2009 with my best friend Michelle and a van full of the last items I had in San Francisco. 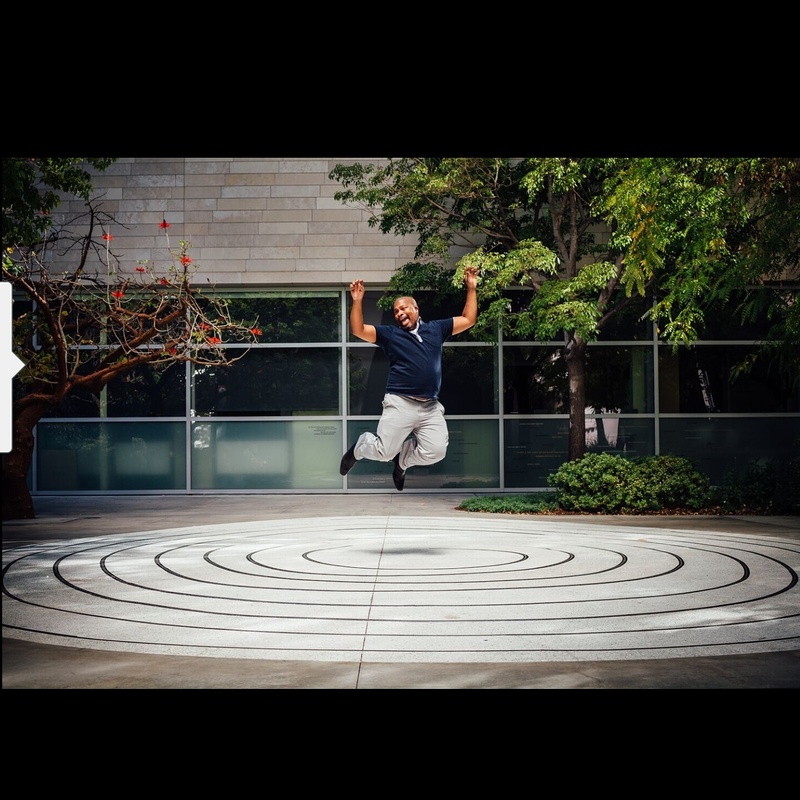 Some of my friends thought I’d be back in SF in no time. Others really believed in me and my decision to leave for good. As I pulled up to my house where I grew up in and was about to live in with my younger brother JR, I was feeling a mix of excitement and nerves. I really didn’t know what my life would be like back in Los Angeles after 22 years living elsewhere. Today on Jan 16th, 2017, I wake up in Los Angeles and I think about how I’m starting over again. I had a whole life happen in between and now some events have led me to have to reconstructing my life. I’m filled with excitement and nerves once again. There is so much ahead of me. I am in the middle of a rebirth. I think back to my original thoughts back in 2008 about returning to LA and seeing if I can make a life here. 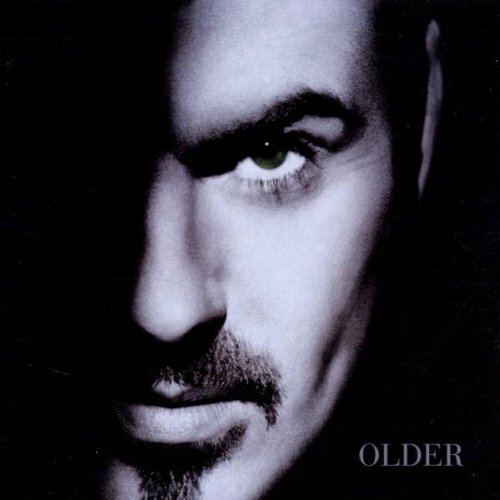 I made a life here and now I’m changing and growing at I head to one decade here. The lesson is to try. The lesson is to take a chance. The lesson is to feel your gut. The lesson is that you never know. The lesson is that you can change and grow and reinvent yourself anytime. The lesson for ME is that I can do anything! Happy Moving Back TO LA Anniversary! to me! TODAY is my 3rd anniversary as a blogger!!! I can’t believe how seemingly fast that went! I have published over 900 posts!!!! This blog has really morphed into a resource center and and website. 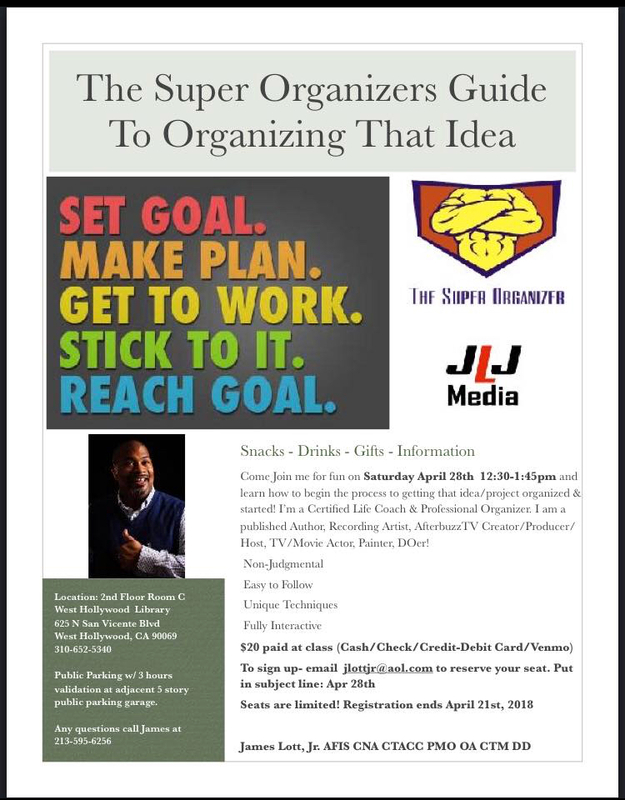 I’ve expanded from just organizing to Life coaching, health, and entertainment. I’ve gained a radio show and created a podcast out of this blog! And I am coming off a record year of views! It has been my pleasure to bring you this blog and will continue to give you quality posts! THANK YOU for taking the time to read and comment!! I LOVE you all!! 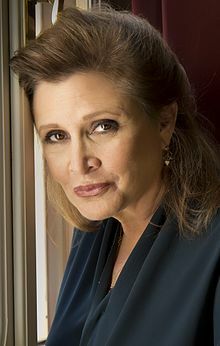 We just lost Carrie Fisher and George Michael over the last few days and they are an unusually LONG list of entertainers, celebrities and important figures that have passed in 2016. In my personal life I have lost 8 people I was close to. It has been a little overwhelming for me! But I am choosing to look at this another way. We are all going to die. That is a fact. People are going to die on us. It can be rough on our hearts. But I am finding it to be a great reminder to LIVE our lives while we are alive. WE need to live our lives fully! There are things I want to accomplish while I am still here, so I am going to work towards them. Also its a great reminder to hold onto those you care about that are still here!! I tell the people that I love , that I love them all the time. I end phone calls with I love you! Its so important to show that and live it! And to those we lost and lose, I will always remember you and carry you with me as i move along life. I will share who you are to the appropriate people too! 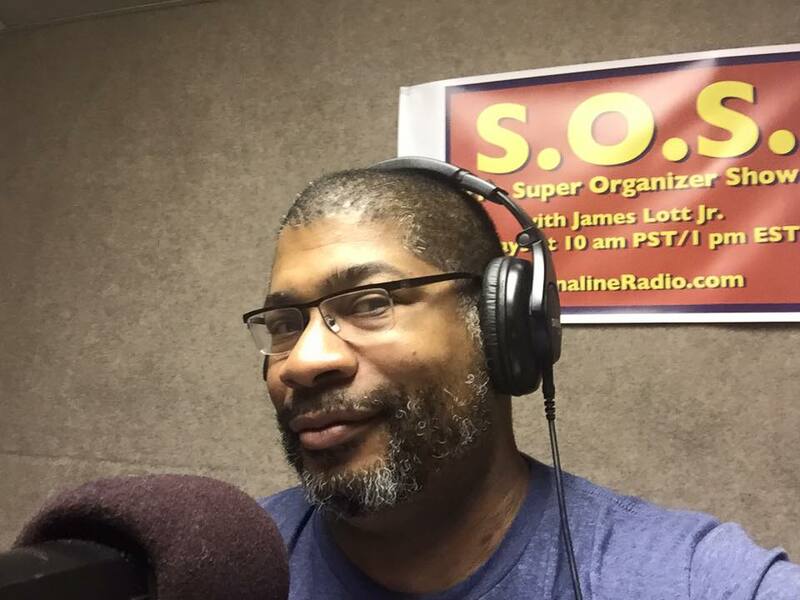 Yes that is correct, The Super Organizer Show with James Lott Jr that airs Fridays at 10amPST on Adrenaline Radio will be on hiatus the month of December. We will return in January! Stay tuned for dates. I wish everyone a safe and happy Holidays! Thanks for the love of my show!! I am lining up some good topics and great guests for the return!! I LOVE doing the show! SEE YOU ALL in 2017!! !